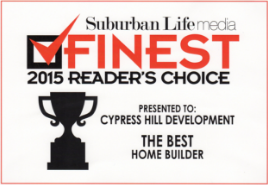 Here at Cypress Hill Development, we have been building new custom homes in Elmhurst for 15 years. Our goal is to build the finest custom homes available. We’ve never been satisfied with mass produced or cookie cutter homes, so we strive to build stunning homes that you dream of. 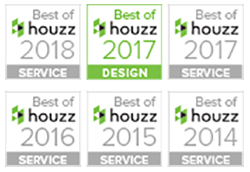 We have an excellent reputation for high-quality construction and we stand behind the workmanship of our newly built custom homes with a One Year Warranty. Our team has over 30 years of collective experience in real estate, construction, and corporate finance. This experience allows us to provide the best value for your investment along with impeccable service. Even after your home is built, we will never be out of touch. For more information on custom built homes in Elmhurst or if you have any questions about our services, call us today at 630-241-9330. Or simply fill out the contact form to the right and one of our experienced associates will get back to you shortly. We are dedicated to being with you every step of the way for your new custom built home in Elmhurst. From the initial sketches to your first steps in your new home, we are there working closely with you to keep you involved throughout the building process, and to keep you well informed. Every year we take on only a handful of new custom homes, allowing us to provide you with a truly unique and personalized experience. Our experience in real estate, construction, and corporate finance allows us to provide a more comprehensive service as we serve as your design consultant and general contractor. We manage an experienced team of subcontractors, architects, suppliers, and other business partners to make the building of your new custom home a smooth, organized process. If you have any questions about our services or if you are looking for custom home builders in Elmhurst, call us today at 630-241-9330. Or you can simply fill out the contact form on the right and we will get back to you shortly.